They're baaaaaaaack! 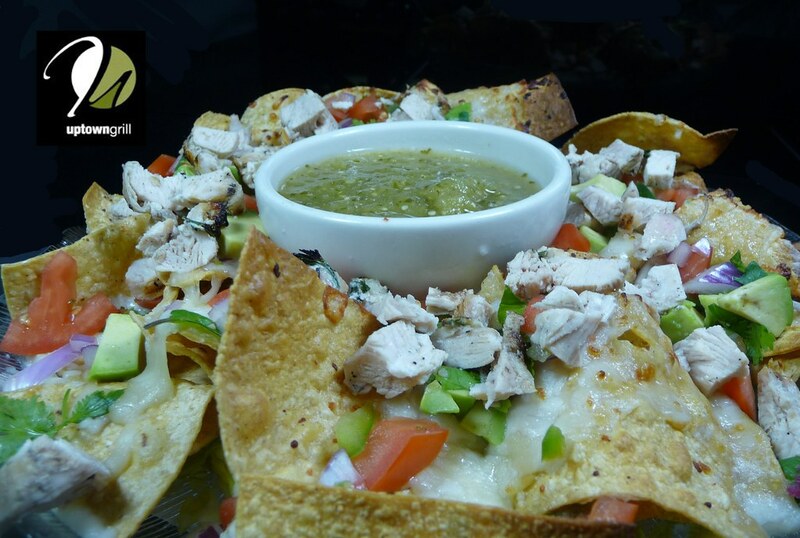 This week, we are bringing back a pair of appetizers... both of which may be considered our all-time most requested specials: Tomatillo Chicken Nachos and our Tuna Tower! They are back and on special for only a short time, so come and get your fix now. Although listed as an appetizer, we often see these two ordered as a meal for one. For those of you who have never tried these two favorites, one bite and you'll be hooked. You'll join an entire group of customers who excitedly wait for them to return to the menu in another few months. As we all know, the tomato season continues full swing. We have seen all kinds of different colors from reds, yellows, oranges and purples. Quite a few different flavors too! When it comes to the traditional tomato, we have learned that when a tomato is still green, they are not ripe yet, right? That is the opposite for the tomatillo. Green means ripe with this one. The tomatillo is also called a Mexican green tomato. They are the key ingredient to Mexican and Central American green sauces. We marinated fresh (never frozen) chicken in a blend of tomatillo, lime, cilantro and other spices and grill it. It is then diced, served on a bed of shredded lettuce and housemade corn tortilla chips, and topped with mozzarella cheese and pico de gallo. A cup of tomatillo salsa served on the side for dipping makes these nachos complete. Our tuna tower should require no more than just its introduction, but for those who have never experienced it, this is sashimi grade tuna mixed with a handful of other ingredients... all stacked high to create a piece of food art. Presentation alone, it gets a 10! 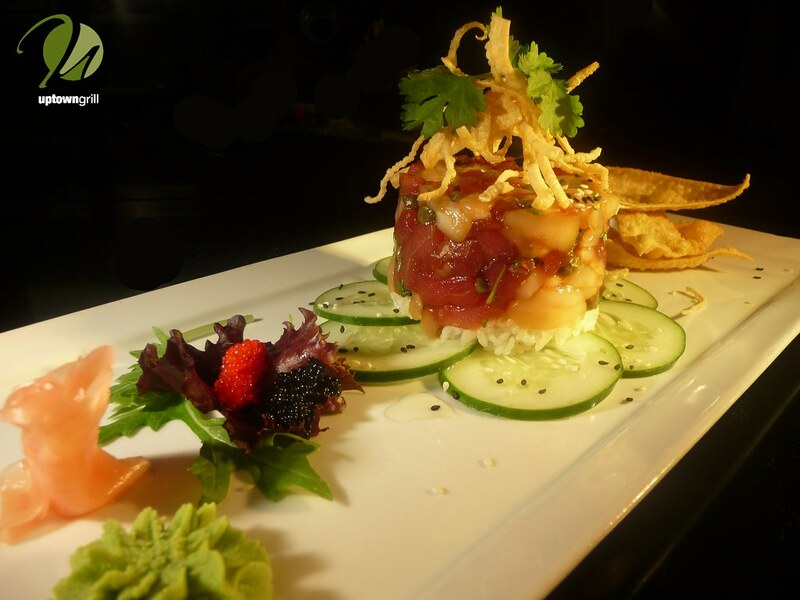 Made with tuna tartare, our sashimi high grade tuna is finely chopped and seasoned with soy sauce and fresh lime juice. We then combine this tuna with green onion and cilantro and stack it tall on a bed of cucumbers, sushi rice and fresh avocado. An arrangement of fried wonton chips, pickled ginger, wasabi and caviar compliment every bite of this Uptown classic. Come give these appetizers, both showcasing completely different cuisines, a try. Over the years, they have become fan favorites. We are sure they will soon be one of yours!